Knowledge is power, and the more you have, the less likely you’ll be to make a mistake and fall behind in your progress.There are so many ways to increase your knowledge nowadays, including podcasts, videos, one-on-one meetings, conferences, blogs, and even apps. Lest we forget in this technology-driven world, though, that there is much to be gained from reading a good, insightful book. We’ve compiled a list of five of the greatest books on songwriting and the music business for you to check out. Grab a cup of coffee and start turning pages! The music industry is changing around us every day, and probably even as you’re reading this. We have entered a new era, where new standards are being put into place, new methods are being tried, strategies are shifting, and the small world of music is becoming just a bit larger as a result of the interconnectivity that our modern world provides us. This can all feel a bit confusing, overwhelming, and even discouraging for those who have no solid starting point or clear end game. There is hope, though. 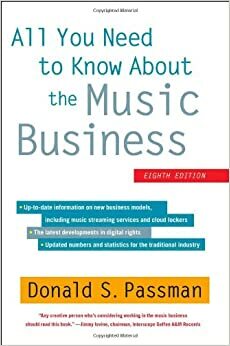 All You Need to Know About the Music Business by entertainment lawyer Donald Passman is just that – every important aspect of the music industry, explained clearly and with experience, rolled into one book for a price significantly lower than that of an entertainment lawyer. Passman goes step by step on topics such as copyright, publishing, assembling your team, touring, the 360 deal, and just about any other aspect of the music business you could possibly think of. This book is a great starting place, and also a great reference for those who find themselves in the middle of the chaos that is the music industry. On the creative side of the spectrum (because we are artists, after all), there are many steps we can take to improve our songwriting. Besides practicing so much it becomes annoying, we can save some time by honing our skills, focusing in on one thing at a time, and expanding our arsenal of songwriting weapons. Pat Pattison, renowned songwriter and professor at Berklee College of Music, provides one of those weapons with his book Writing Better Lyrics. He delves deep into the art and heart of lyric writing, and gives tips and methods to helping a song reach its full potential. Object writing, overcoming writer’s block, and other great topics are covered. When it comes to music, imitation is key. After all, musical trends are constantly being recycled, reused, and revamped. The greatest songwriters will all tell you that they learned their craft by mimicking their favorite artists until they learned to develop their own sound and style. If this approach worked for them, it can work for you too! In Songwriters on Songwriting, 62 of the greatest songwriters of our time dive into the nitty-gritty of songwriting – what it means to them, what it looks like, and how they go about their process. There is no better way to improve yourself as a serious songwriter than to learn from the greats. There are many types of learners. Some like to feel their way around, others prefer to take it one step at a time, and still others like to have everything laid out in front of them in a practical way. If you tend to lean towards the last method, Six Steps to Songwriting Success is a fantastic resource for you to have under your belt. It offers a step-by-step approach to the art of making that elusive hit song. Author and songwriter Jason Blume includes tools such as the tree-step lyric writing technique, as well as lyric, melody, and demo checklists. This book is a must-have for all songwriters who aim to hone their skills and get their music into the hands of industry pros. It’s true that the music industry (and really every other industry) is all about who know; your relationships become the foundation of your career, no matter if you’re a businessperson, songwriter, producer, manager, or session player. Building and maintaining these relationships takes time, effort, and a bit of learned and applied skill. 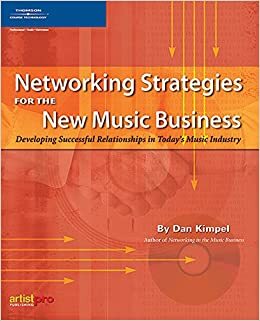 Networking Strategies for the New Music Business is just the book to help you navigate the sometimes overwhelming sea of dos and don’ts. The author, Dan Kimpel, has more than 20 years of music industry experience, and has worked with the likes of Quincy Jones, Babyface, Diane Warren, Joni Mitchell, and Randy Newman. Before you’re in too deep, or before you miss your next opportunity to network tactfully, read up on what Kimpel has to say about personal skills and how to blend them nicely in a professional environment. 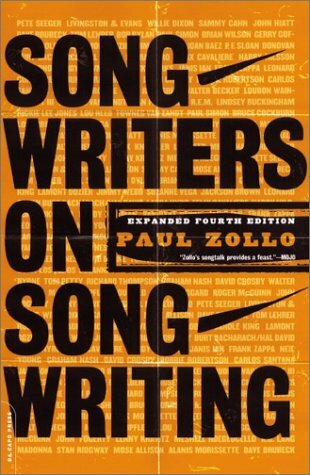 What’s your favorite songwriting book? Let us know in the comments below!